It’s such a beautiful trailer with all the latest features - there’s an automatic level system, two air conditioners, and you can control the whole thing with your phone. The interior is beautifully finished and the coach really is nicer than some homes. So you can imagine why the couple who just bought this was so upset when one of the air conditioners and the refrigerator quit working on their first camping trip and the over $2500 in repairs needed weren’t covered under their warranty. I’m no electrician and the mystery that is electricity is a magic force for either good or evil, depending on how it’s harnessed. In this case the couple was looking for the good when they plugged into the campground and, it turns out, it was evil that they got. Actually, based on our conversation, it was working fine at first. But then another RV came along and plugged in to the campsite’s power pole and that’s when things went awry. There was clearly some evil in their wiring which then caused an issue with the campground’s wiring which then ultimately destroyed an air conditioner and the refrigerator on my customer’s beautiful travel trailer. At least that’s what we know for sure thus far. In fact, I recently experienced my own power issues during my unexpected camping trip caused by fire evacuation. During the first day we lost power in our own RV due to so many campers at the campground, all of whom were running their air conditioners at full blast to beat the sweltering heat of the day. But the difference was that my RV was plugged into a surge suppressor that continually checks the incoming electricity to make sure all is good. When the voltage dropped to a certain level, it simply shut off power to my RV to protect all those little electronic whiz dads that make RV life so convenient. When they’re working, that is. There are all sorts of gremlins that can live inside an RV power pole. There can be too much power, too little power, improper wiring and whatever happened when the last camper accidentally backed into the pole but didn’t tell the campground. They’ll never notice, right? So a whole-RV power protector is a great investment - honestly one of the first things any RVer should have on their wish list. The way the better of these devices work is by first measuring the voltage and condition of the power from the pole and then allowing it to pass through to your RV when all is good. RV surge protectors range in price from about $100 to many hundreds of dollars with a variety of features to go along with those price differences. At the very least you’ll want one that protects against pedestal wiring faults. Some protectors have LEDs that indicate fault while fancier ones feature displays that indicate voltage and fault conditions, if any. 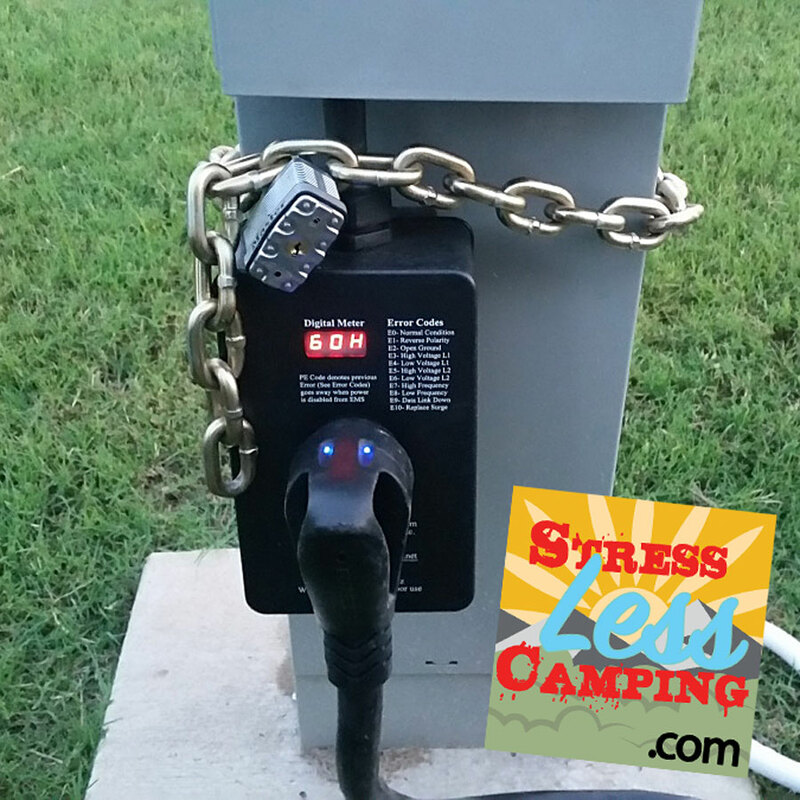 There are also surge protectors that actually can be wired in to your RV’s wiring system. I’m a big fan of “buy the best and cry only once” and I happen to have the Progressive Industries SSP-30xl (our Rockwood Mini Lite is a 30-amp RV). I like this one because of the display which reads out voltage and conditions. If your RV has a 50-amp service you’ll need a 50-amp surge suppressor. Mine is a portable unit but there are also models that can be hardwired right into the RV. Why didn’t I go hard-wired in to my rig? I generally like to test a campsite’s power before I even back in to a space. There have been times where my surge suppressor tells me that a particular site’s power is no good and I’ve had to request a different site. With a hard-wired device I would have to back in and plug in before I knew this. However, the portable unit’s primary disadvantage is that it’s portable. You can also bet that I have a lock that keeps others from getting a free surge suppressor. Now you might ask why such an important aspect of RVing doesn’t come with your RV. Well, your computer didn’t come with a surge suppressor either. It’s just how things are. Bad power is much more common than you think and you can’t just see a bad power pole and avoid it. Many times you’ll go to a camp site and happily plug in, not knowing there’s anything wrong. Or, even worse, things may be fine until someone else plugs in down the line and causes trouble. 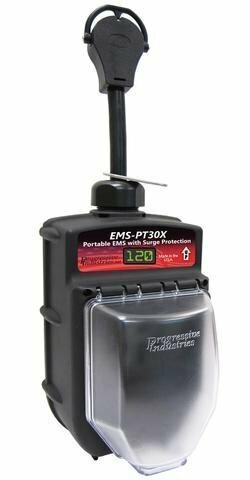 Unfortunately, it’s rare that I see power protectors in use at a campground but I hear plenty of stories at our dealership about RV issues that are caused by bad power more than anything. 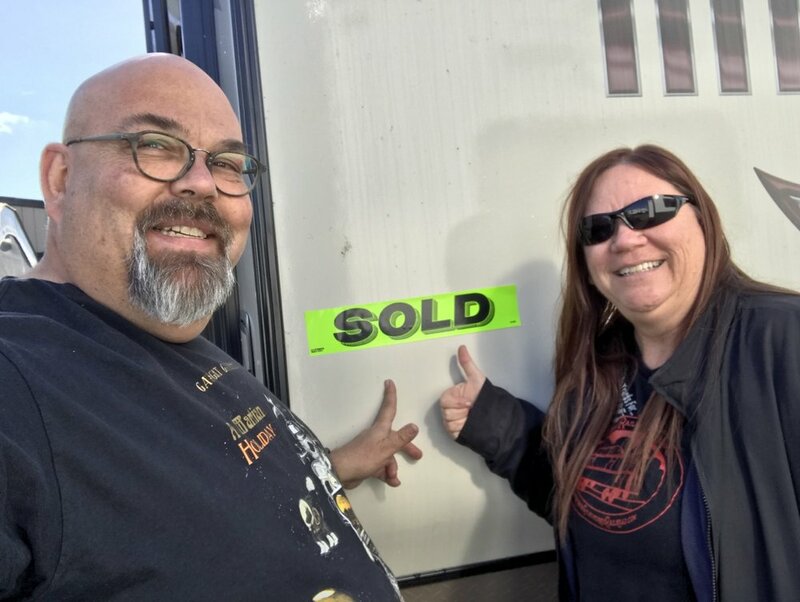 Problems caused by bad power are not covered by either your RV’s manufacturer’s warranty or by most extended warranties so the thousands you can spend as a result of bad power are on you. And that is definitely not StressLess Camping.